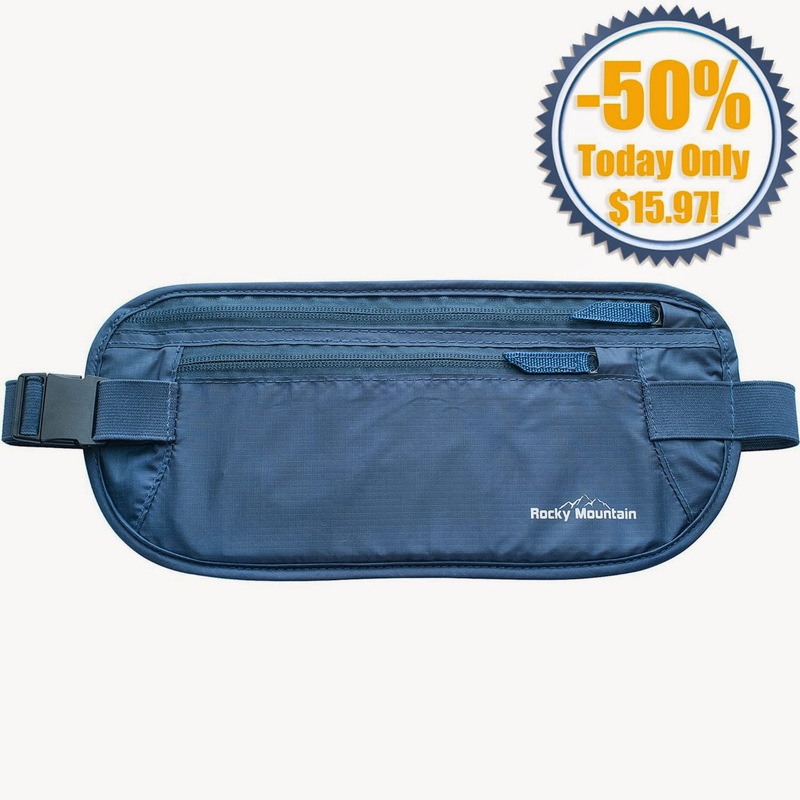 Premium quality money belt for your safety while traveling abroad or your daily shopping. 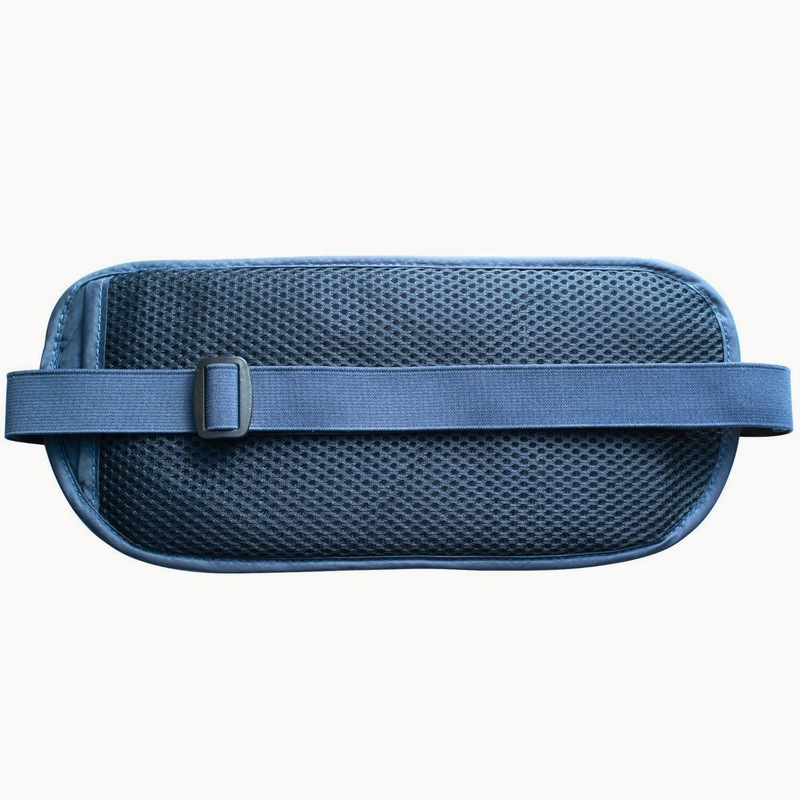 Slim and lightweight, it will neatly fit under your clothes and help you avoid pickpockets even while you are asleep. After wearing it for a couple of days you will even forget it is there! Made of non-itch materials and specially designed to be breathable. Comfortably fits any waist size from 20 to 60 inches. Fray-resistant 1 inch wide strap and elegant but sturdy buckle will ensure your valuables are safe at all times. Made of extremely durable waterproof ripstop nylon, easily washable and quickly drying. Outfitted with two zippered compartments that will fit your money, keys, credit cards, passport, smartphone and other valuables. 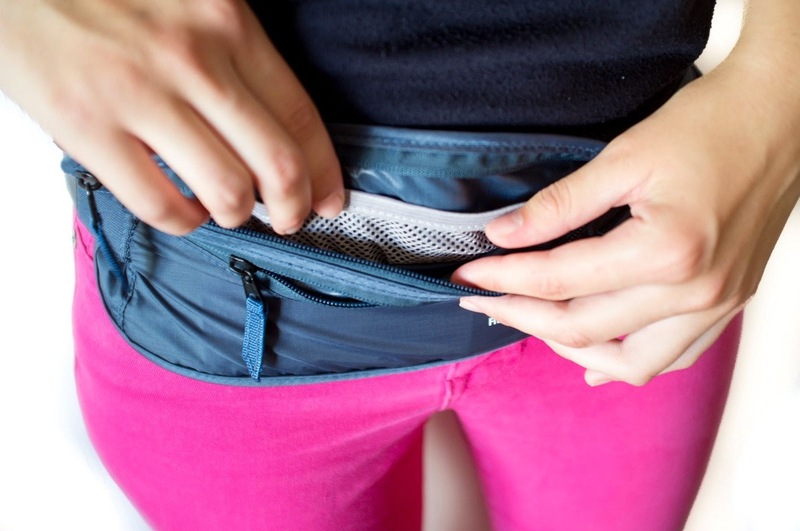 Two mesh pockets in the bigger compartment will help you separate different currencies or credit cards. Our advice: To stay safe, it is not necessary to have all money, credit cards on you at all times. Always try to split your money as much as possible and never carry more than you need! Join thousands of satisfied customers and take advantage of our 365 Days 100% Satisfaction - Money Back Guarantee offer NOW! Have you ever been mugged or robbed? It can happen anywhere, but you are able to keep your valuables safe at any time! Fashionable blue color will make you look more stylish than the usual brown, black or beige so you can surely use it on your clothes for your daily shopping as well! The bigger zippered compartment is fitted with two pockets to keep your things neatly organized. Never worry about mixing different currencies anymore - you can easily separate US dollars and foreign currencies as well as your credit cards. 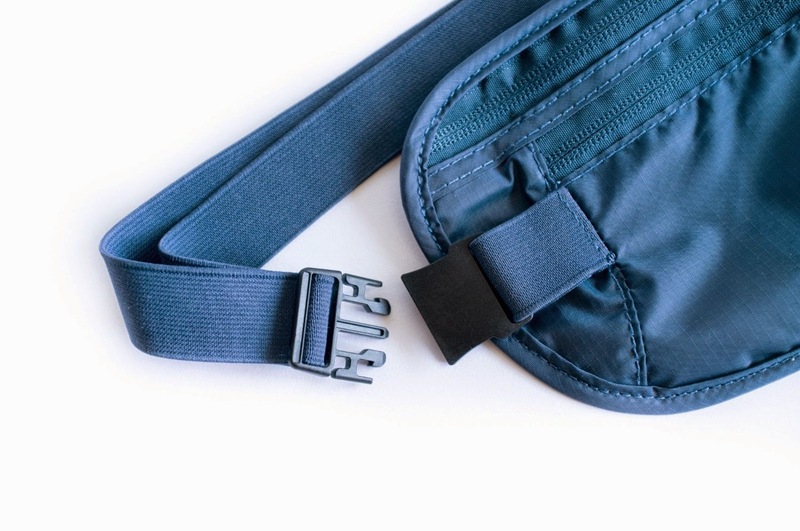 - Easily adjustable and fray-resistant elastic waist strap fits any waist size from 20 to 60 inches (50 to 150 cm). - Front side is made of extremely durable waterproof ripstop nylon, resistant to stains and tearing. - Back side is made of non-irritant, non-itch mesh material to reduce sweating as much as possible. - Heavy duty buckle and zippers ensure your safety under any conditions. Thousands of satisfied customers have already chosen us for the best quality and service. 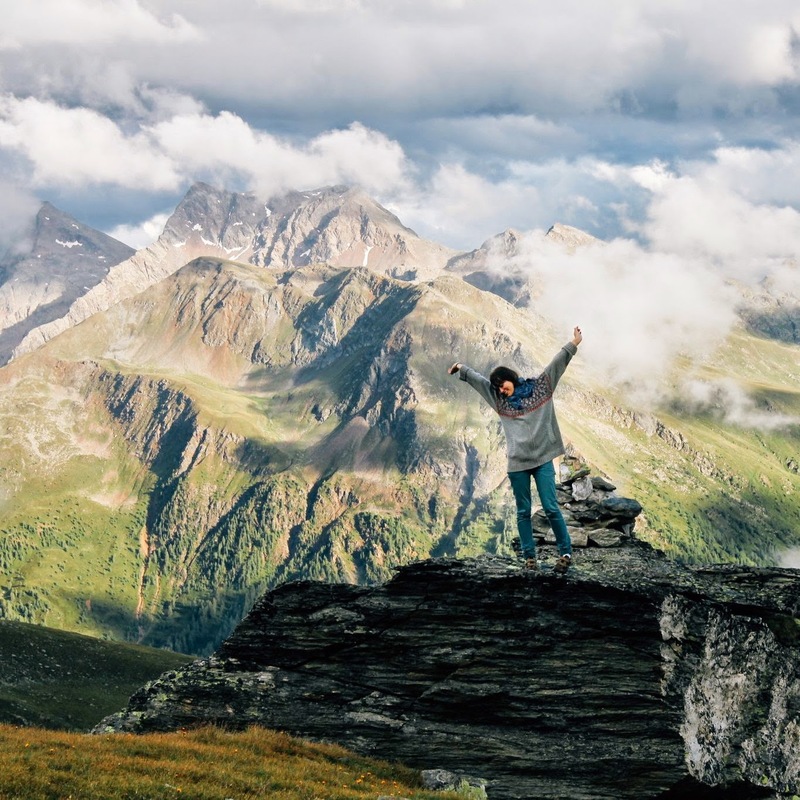 If for any reason you are not happy with your purchase, contact us within 365 days from the order date and we will give you a complete refund! I can easily fit a bottle of medication, set of keys with flashlight, 4 cards and ID, hand sanitizer wipes, smartphone and cash. There is a LOT of room left to carry any essentials I want to take with me. Lots of room left to take more items if needed. Here are those items inside and securely zipped, the money belt is still pretty flat. The packed money belt is still very slim and comfortably fits around my waist. 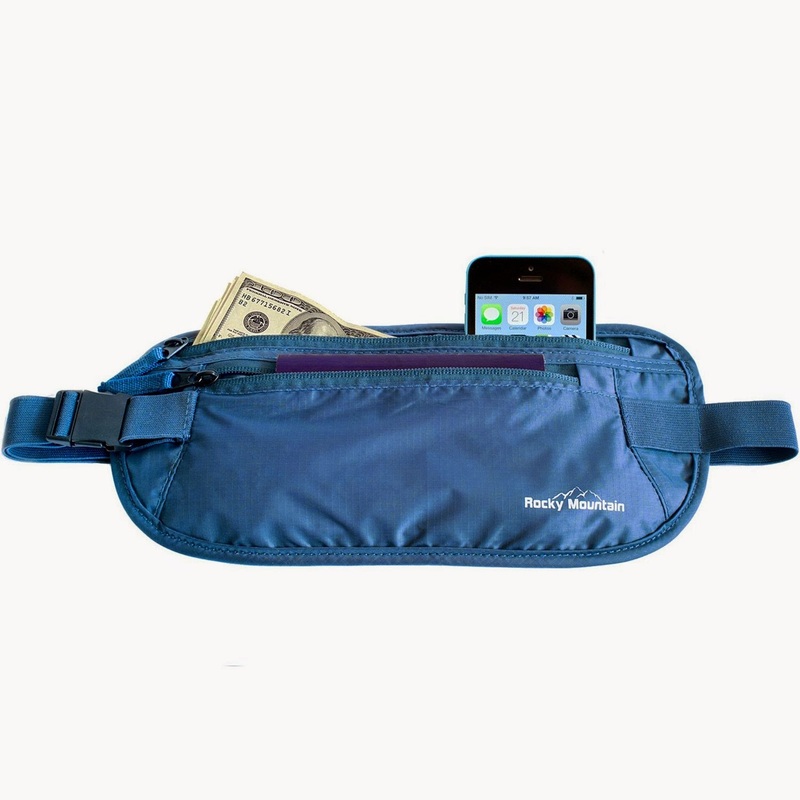 I was very happy to get to try the Money Belt by Rocky Mountain Travel Gear Novelty Goods. I really like the look and feel of this money belt. It is made from waterproof nylon that forms comfortably to my body and it not at all bulky. I like that the back is mesh and breathable so I don't get a sweat spot there. I like the adjustable strap with buckle and zippers. This is a well made item and it is very useful with all its separate compartments that are securely zipped. 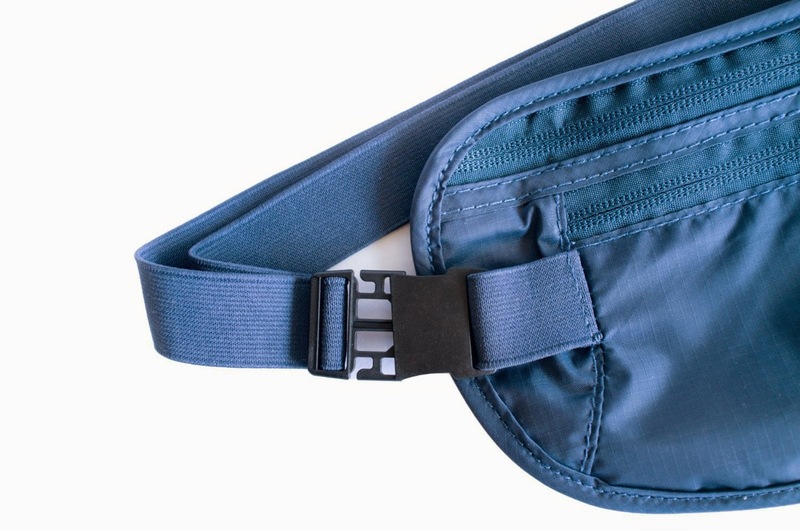 I like the way this money belt is very inconspicuous and when I wear it around my waist, under a shirt, it is virtually undetectable. I really like this belt because I don't have to carry a purse or wallet that I would constantly worry about while traveling. I like that my valuables are on my person and will not get misplaced while I am in a restroom, shopping, picking up things to look at or dealing with children. I also like to wear it while I am out walking in the woods, walking the dog, at the zoo, running in the park and so many more places. I recommend it! Oh wow! This would really come in handy. I want! I have had one of Undercover Money Belt money belts in the past and needed a new one because the zipper had broken. I had had it a vey long time I know that i can depend on your company to make a durable,long-lasting and practical product. Thank you for not discontinuing the money belts. It is perfect! I'd be extremely appreciative on the off chance that you could expand a tiny bit further. Welcome it!